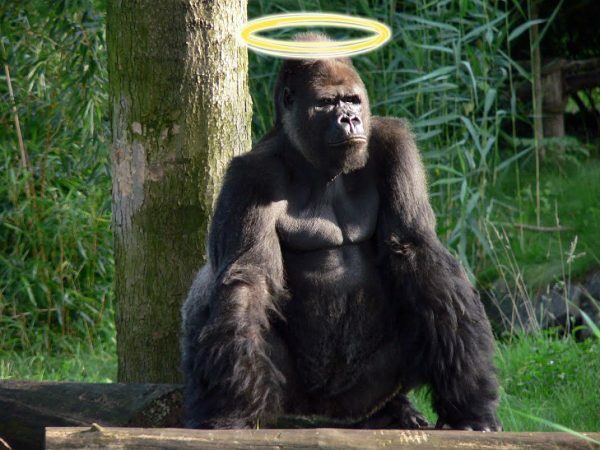 Animal rights activists have created an online petition asking the Congregation for the Causes of Saints to waive the sainthood waiting period for Harambe, the endangered 450-pound gorilla who was fatally shot after a boy fell into its “hermitage” at the Cincinnati Zoo. The petition, which has already gathered over 300,000 signatures, asks Pope Francis to immediately proclaim Harambe a saint, elevating the great ape to the universal veneration of the Church. Porter later went on to add that he hoped Harambe would be added to the general calendar of the Church. In response, Pope Francis announced this morning that he would be issuing a new encyclical titled, Banana Vitae, reaffirming the orthodox teaching of the Catholic Church regarding responsible conservation of animals and their habitats. At press time, animal rights activists have also announced plans to ask Pope Francis to excommunicate the parents of the boy who fell into the gorilla “hermitage” for negligence, as well as the zookeeper who shot Harambe for violating the spirit of Laudato Si.